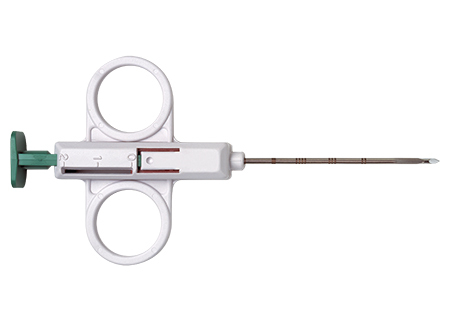 SuperCore™ Semi-Automatic Biopsy Instrument is a lightweight, adjustable and easily maneuverable biopsy instrument. 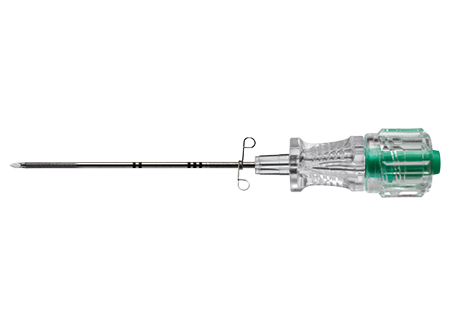 After setting the cutting cannula spring, the SuperCore™ Instrument may be operated with one hand, leaving the other hand free to manipulate a guidance device; i.e. an ultrasound probe.